It's fall and seeds are everywhere. Here are three reliable (if at times over-enthusiastic) reseeders in my garden. Mirabilis, or four-o'clock, has been in my garden for years. Returning from tubers as well as seeding itself enthusiastically it will never be gone. Fortunately, I like them...they remind me of my childhood in Ohio. Hollyhock Chater's Double is not nearly as invasive enthusiastic producing, at least, some every year. Garlic chives seed freely. But unlike some of my friends who find them invasive I am blessed, like the little bear, with an amount that is just right. Self-seeding annuals & biennials are great. All the beauty without the work of planting. 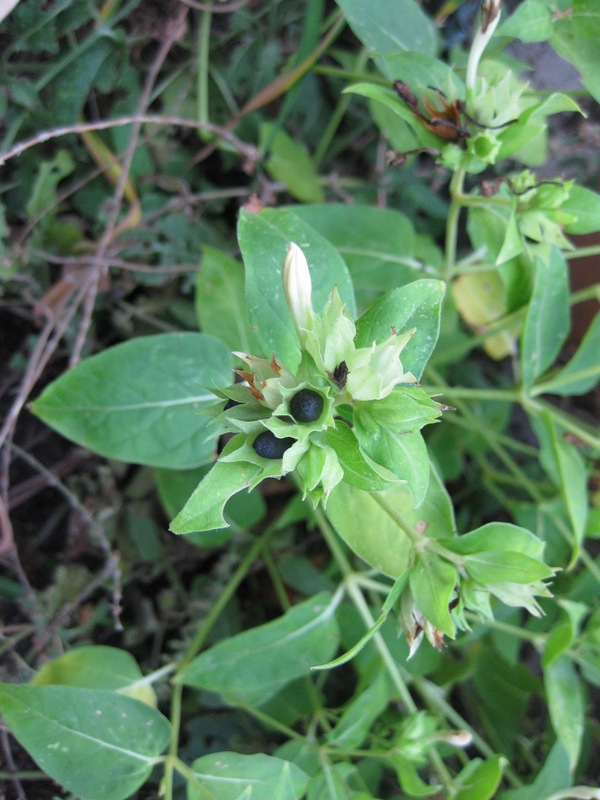 Four o'clocks aren't at all invasive here. I'm glad you joined in today, Leslie! Their invasive nature is why I don't plant four-o-clocks here. They are lovely, though. Hollyhocks only occasionally will do well for me, dang it. 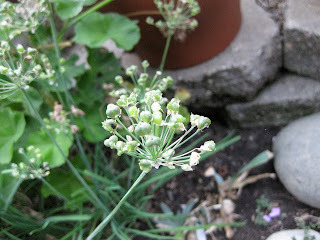 The garlic chives are in a pot and have languished there all summer without a sign of growth. Three nice choices... haven't seen hollyhock seeds in years - forgot how cool they were, Leslie! A few Striped mallows have lived long enough to keep reseeding here and they look sort of like these. I appreciate any that sprout. 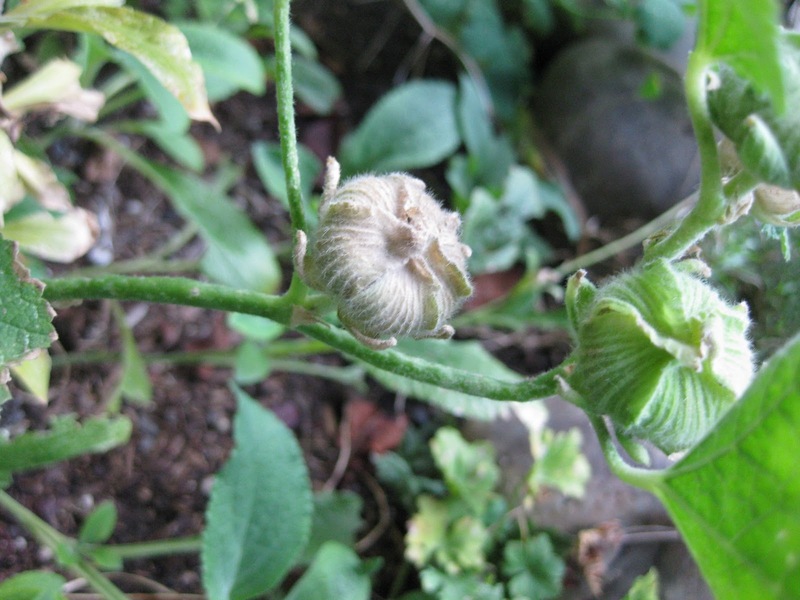 Friends warned me about the invasive Four o'clocks, too, but they've never lived long enough to bloom, let alone reproduce.